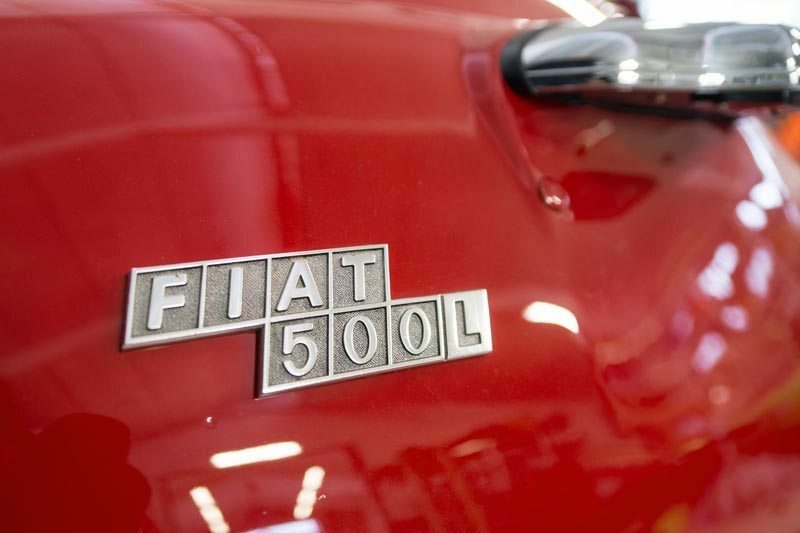 The Italian post-war motoring public was clamoring for affordable city cars to use around town, and Fiat came to market at the right time with the new 500 series cars, introduced on July 4, 1957. 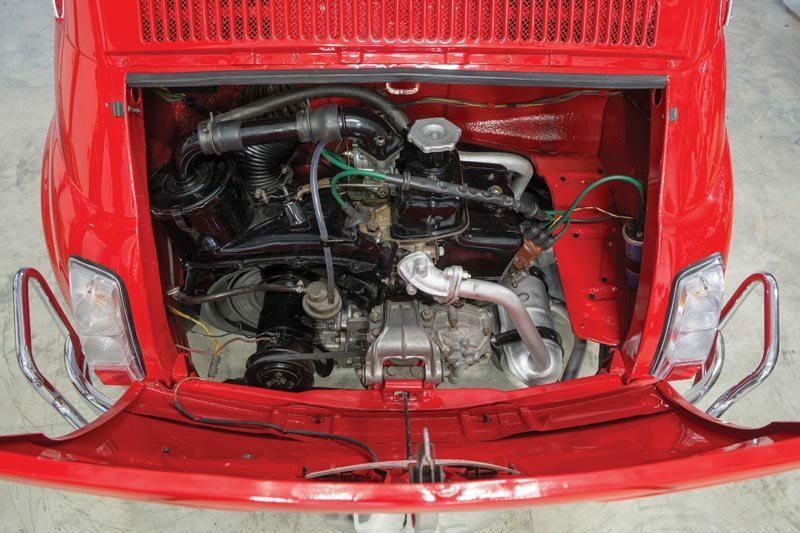 Throughout this little car’s lifetime, small improvements were being constantly engineered into the new models. Still in production through 1975, Fiat sold over 4 million 500’s, and today, they remain one of the icons of post-war Italy. The egg-shaped body was easy to manufacture, and it filled a need of utilitarian transportation for the masses much like the Volkswagen Beetle did in Germany. Measuring just three inches under 10-feet from bumper to bumper, the 500 was able to comfortably carry two passengers, a bit of luggage, and when properly configured, an entire family could travel. They proved to be rugged, durable, and certainly helped power the resurgence in the Italian auto industry for the next decade. 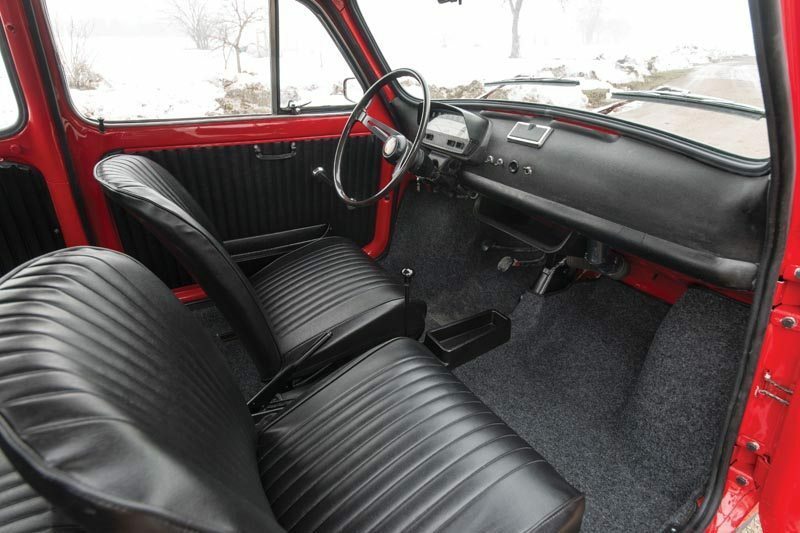 In 1968, the 500L was introduced, the “L” representing the Lusso package, a slight upgrade in sound deadening materials, plus cosmetic upgrades like carpeting and trim. 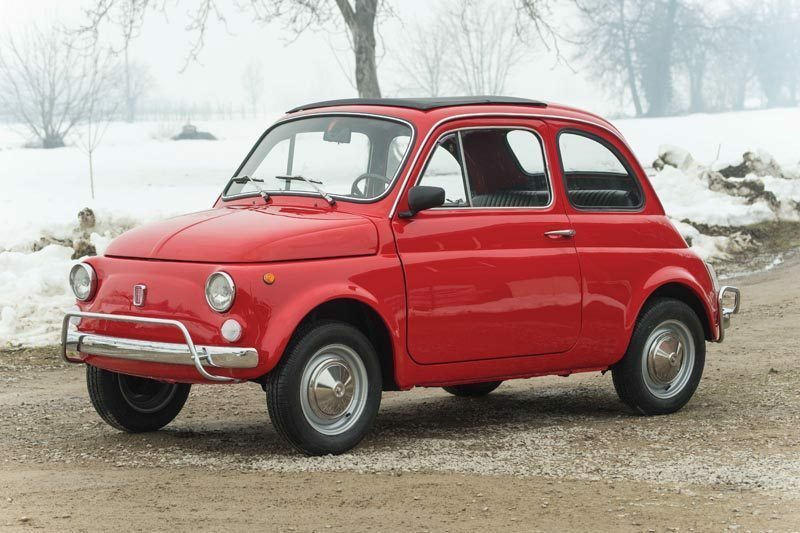 Sometimes the brunt of a joke or two, the little Fiat 500s are beloved by those who knew them as their first car and have been coveted by celebrities around the world. Despite the inexpensive purchase price, they really were quite well engineered and put together, and the example we photographed in Texas has been restored with an eye towards authenticity. 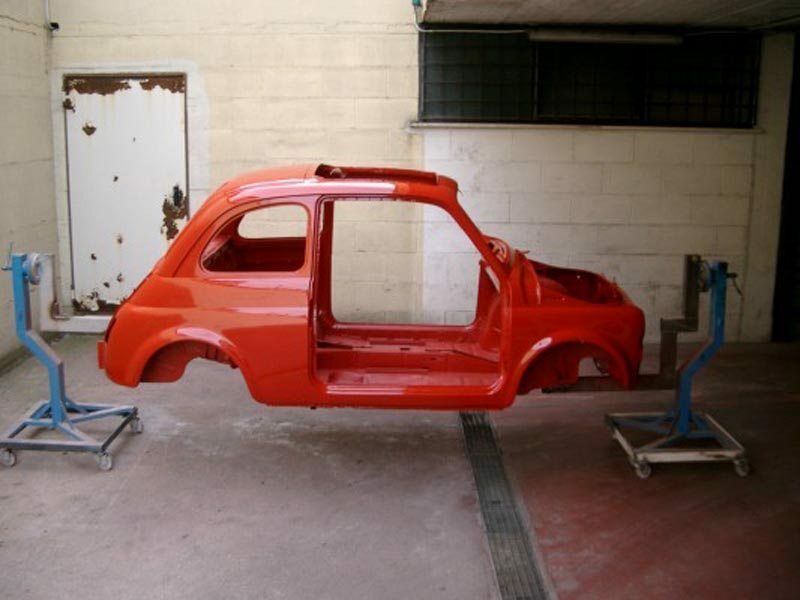 Starting with a solid original example, only a minor amount of bodywork was needed before the fresh red paint was applied to the entire unibody structure, outside and in. A clear indication of rust prevention and a thorough painting are essential with these uni-body cars to insure they are safe and useful for the long haul. New steering, suspension, fuel, and exhaust systems were installed, and results are impressive. The car handles like new and starts readily, and our photographer reports a nice solid feel. Mechanically, these cars can keep up with freeway traffic in the 60 MPH range, but with their design being aimed at “around town” users, when the speeds are lower they can average up to 30 miles to the gallon. With the “constant mesh” transmission, shifting is effortless and this example looks to be simple to drive, and is no doubt easy to fall in love with. This low mileage Lusso also has the classic Fiat removable soft roof panel, with new carpets and all new rubber components. 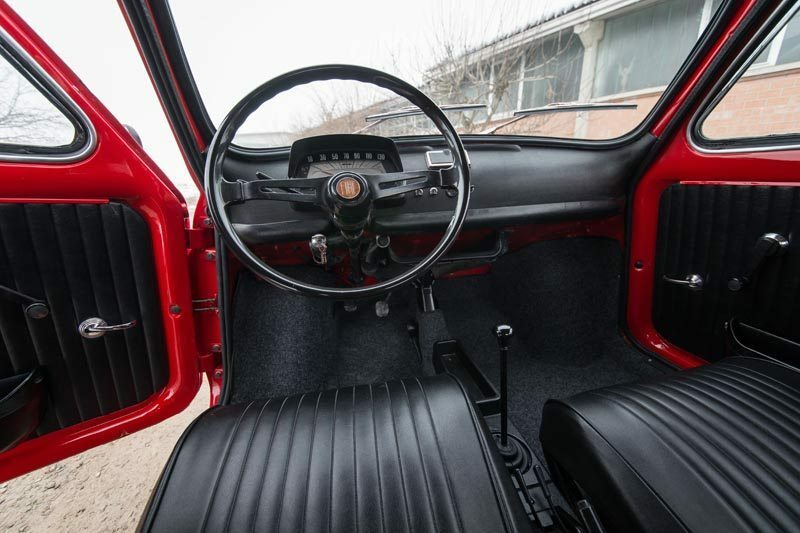 The interior appointments are basic but it does feature the up-dated instrument panel that was part of the Lusso package and all new upholstery. Micro-cars have earned their place in the collector-car hobby, and as more people discover the simple and affordable fun these vehicles offer, the values are sure to continue to rise. If you have an early model Fiat or another collectible you’d like to insure with us, let us show you how we are more than just another collector vehicle insurance company. We want to protect your passion! Click below for an online quote, or give us a call at 800.678.5173.